Nostalgia for ‘Dunkirk’ exposes the threadbare nature of our national stories, as do both Tory and Labour responses to Brexit. In recent years, particularly in the aftermath of the Brexit vote, it seems more omnipotent and increasingly problematic. From politics to culture and most aspects of public life we are confronted with a selective, sepia-tinged fantasyland version of the collective past. And it reduces the prospect of us believing that we can make a better collective future than the nasty, mean-spirited reality which is - for too many - contemporary Britain. 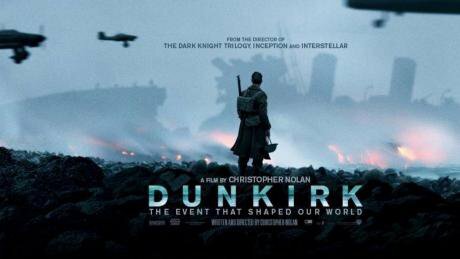 This predicament comes into full view in the summer of 2017 and in Christopher Nolan’s just released film ‘Dunkirk’. The film has attracted plaudits for its grand scale, alongside its depiction of chaos and confusion. But it has also attracted critical comment for its lack of characters, central story, and context (one of which is the absence of any Germans or overall strategy from either side). Nolan’s film does portray powerfully the gathering foreboding and claustrophobia on the Dunkirk beachhead as the Germans closed in on the trapped British and French forces. This was after all the worst British military disaster and reverse ever in the country’s history. A greater defeat - in military terms - than the geo-political defeats of the American Wars of Independence and Irish independence, or the humiliations of the loses of Tobruk, Singapore and Hong Kong in 1942. This is epic history on every level: a bigger encirclement of men than even at Stalingrad, and the biggest amphibious military rescue ever undertaken. But ‘Dunkirk’ the film is a very British and respectable version of what carnage and chaos looks like. The chaos is only tentatively hinted at in the film in the closing scenes as British soldiers arrive in the UK and are transported through the countryside. Perhaps Nolan didn’t want to bust our last collective national myths, send the ‘Daily Mail’ into a predictable fury, and risk losing a mainstream audience. Harold Evans, once editor of the pre-Murdoch ‘Sunday Times’ wrote in his memoir of the disjuncture between the official account of Dunkirk and the human reality – both in the immediate aftermath and in the decades after the war. It was this chasm of difference - with the ‘Daily Mirror’ proclaiming ‘Bloody Marvellous’ after the evacuation of British and French troops - which made Evans want to be a journalist and bust future mythologies. Individual testimony reinforces this argument: of anger at poor equipment, lack of resources, organisation and leadership, and the sheer gentlemanly amateurism of British generals and officers - the last point touched upon by Ben McIntyre in The Times last week. One reader wrote in response to argue that Dunkirk wasn’t due to ‘the incompetence of British generals’ and that ‘the strategic situation cannot be attributed to the British generals involved’. If not, then what is the point of having any generals at all? The German General Staff - led by the likes of Rundstedt and, operationally, Rommel - were fighting a different and new war compared to Lord Gort. Gort, who headed up the British Expeditionary Force (BEF) in 1940, had served in 1914-18, leading the fight in the immobile trench warfare of the Somme and Passchendaele. Dunkirk is as a myth and memory everywhere. From the immediate post-war generation onwards, it is continually evoked by elites to urge the common folk to work harder and face greater hardships in the face of Johnny Foreigner showing his and her ability to adapt and be more competitive. For a while ‘the Dunkirk spirit’ being directly referenced seemed to wane in the 1970s as a wartime set of experiences died off, the post-war consensus weakened, and Thatcherism began to emerge. There was a cultural counteroffensive seen in the likes of John Cleese’s ‘Don’t mention the war’ - a call to overthrow the suffocating constant referencing of World War Two. Yet it never fully went away, drawing on and giving succour to British exceptionalism. It found voice in the Thatcherite pre-Trumpian ‘We put the Great Back into Britain’ along with the related ‘we kept the lights on in Europe’ (about the period 1940-41 before the Soviet Union and US entered the war). Britain joined the then EEC late, and never fully joined in terms of signing up convincingly to the European project. It is now leaving, divided and in a huff. There is something deep at work in the British national psyche, assuming we can still talk about such a thing. To the extent such a psyche exists, it isn’t homogeneous, but confused and bitterly fractured – full of loss and a sense of anger and betrayal at the state of the country. Psychology and psychoanalysis is important here. As Rafael Behr in The Guardian points out, the UK joined the EEC when Britain was seen, including by large parts of British informed opinion, as “the sick man of Europe”. The European project was the future - progress, and liberation from old-fashioned British ways, from incompetent management (the same class who had proven their uselessness at Dunkirk), from sectional trade union leaders and shop stewards. Europe would save us from ourselves. This seems without getting too Freudian in our metaphors an acute reading, and with all this hurt, suppressed emotions and open wounds about, it certainly makes it much less likely Brexit will work out well, and much more likely it will be an almighty and painful mess. The present-day situation isn’t then just about Brexit, but an existential crisis of the very idea of Britain. It has exposed the threadbare nature of what pass for our collective national stories. What are we left with but Dunkirk, the Battle of Britain and Churchill’s stirring call to ‘fight them on the beaches’ and ‘our finest hour’? It is little surprising that a recent YouGov poll found that 59% of respondents thought the British Empire was something to be proud of. This is the wider stream within which Labour and the left have had to swim. What alternative national stories has the left had to challenge exceptionalism and bittersweet nostalgia? What tales of the powerful, humanising force that is ‘the common people’ have become part of the mainstream and proven impossible for the forces of reaction to dismiss? Apart from the popular regard and occasional celebration of the NHS (think Danny Boyle’s 2012 London Olympic opening), there is an embarrassingly empty cupboard. This presents a problem to the British political classes, their two possible parties of government, Conservative and Labour, and their versions of the country. It isn’t an accident that both parties parrot simplistic scripts on Brexit, while trying to avoid, details, complexities and realities. They are both playing high wire, dangerous games: the Tories with their divisions between domestic and international capital, ‘real’ and ‘invisible’ business, and Labour with its faultlines between insular British chauvinism and an international co-operation and solidarity. These are old, deep, even familiar divides – with the fetishisation of British traditions and parliamentary sovereignty running from the radicals of the Tory right such as Enoch Powell to those of the Labour left like Michael Foot and Tony Benn. Today’s Tory hard Brexiteers such as Liam Fox and Labour’s Jeremy Corbyn and John McDonnell are the modern, diminished inheritors of these traditions: of Britain the exceptional, and its narrow, ossified undemocracy. This week is the anniversary of the greatest ever Labour electoral victory and moment in its history: Clement Attlee’s 1945 triumph which produced the first ever majority Labour Government – when it won 393 seats and gained an overall majority of 146 seats (the vote took place on 5 July but the count was held on 26 July to allow for the overseas military vote). Attlee’s government produced many of the institutions and achievements that have has been Britain at its best, and whose undermining under Thatcher and Blair has seen Britain at its worst. The road to 1945 runs through Munich, Dunkirk and the Battle of Britain: a people’s story which remembers collective endeavour, the betrayal and sheer incompetence of Britain’s ruling classes, and which linked its appeasement of fascism with the mass unemployment of the 1920s and 1930s. It brought us closer than we have ever been before or since to a popular left British patriotism based on solidarity, redistribution, making education and health public goods, and full employment. But the mood was not one which lasted, nor that Labour and the left built upon. Labour’s failure to be bold and radical when it was at its peak meant that ‘the Conservative nation’ of Andrew Gamble’s analysis - the world of privilege, power and elite rule - was there intact to stage its comeback and revenge when it could sum up the confidence and political capital, aided by Labour weakness and divisions. Labour supporters from the Corbyn leadership to centre-right ‘moderates’ have been left invoking the folklore of 1945 as an alternative Dunkirk of the left: one where the good guys triumph, rather than just escaping the clutch of the bad guys at the last moment. But invoking 1945 uncritically, as in Ken Loach’s film ‘The Spirit of ‘45’, merely validates the worst aspects of Labour: conservatism, self-congratulation, and a simplistic version of history where all that stops the people’s advance is betrayal by successive leaders. In Loach’s film, we are transposed from 1945 and a golden age to 1979 and Thatcher, as if some kind of quasi-military coup has overthrown all that was good, rather than seen it unravel through multiple mistakes and events. Britain clearly needs more national stories than Dunkirk, the Battle of Britain and Churchill. That is the conservative story with a small and capital c. The Labour version claims these as well and isn’t much better. The current Labour leadership represent an even more pronounced conservative leftist nostalgia: one which is insular, chauvinistic, and wanting to use the unreformed institutions and instincts of the British state to impose top-down change. This sad state of affairs has helped enable Brexit. The truncated debate and limiting of possibilities and imaginations that is contemporary Britain, is a product of the power of the past and collective failure to sustain alternative accounts of what Britain is. Maybe Britain can for the near-future muddle through all this and endure the mess and disappointment, but it isn’t a mobilising, enabling future. Mainstream politics are defined by two versions of the future shaped by the past: a Toryism which sees Britain floating off into the deregulated Anglosphere freed from European sclerosis and a Labour Britain harking back to centralism and class certainties. Each speaks for a narrow Britain – one which huge swathes of England including London, along with Scotland, Northern Ireland and Wales, have huge anxieties about and don’t want to be part of. A Britain where the past is the future is increasingly a Britain which for many of us will cease to be viable.